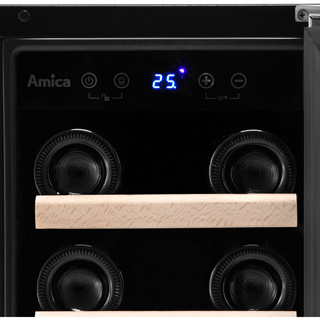 "Very pleased with the Amica wine cooler. Fits perfectly in my kitchen. Looks stylish, particularly with the blue light activated. 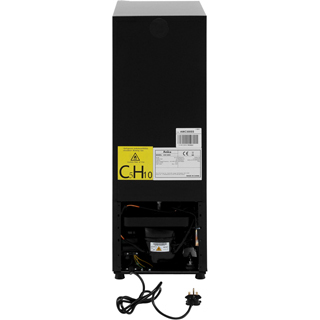 Easy to install and comes with crystal clear instructions. I was worried about the possible noise having read other reviews, but it's fine. " "Looks good with the blue LED lights in my new kitchen. It’s a bit of a squeeze though for Prosecco and champagne bottles. " "Made up with this purchase fits and looks good in my new kitchen. The LED lights can be turned on or left off which is a great function. " "Great looking fridge. nice easy controls. works fine. is a little noisy "
"Looks great in the island and does the job, the bottom section is short and won’t take a bottle of wine but will take bottles of beer or soft drinks. " 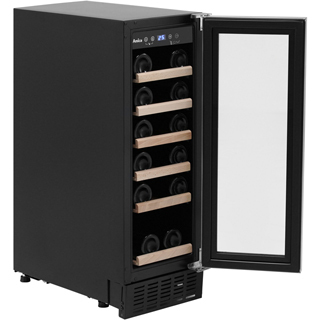 "We settled on this wine cooler after extensive reviewing of similar fridges. 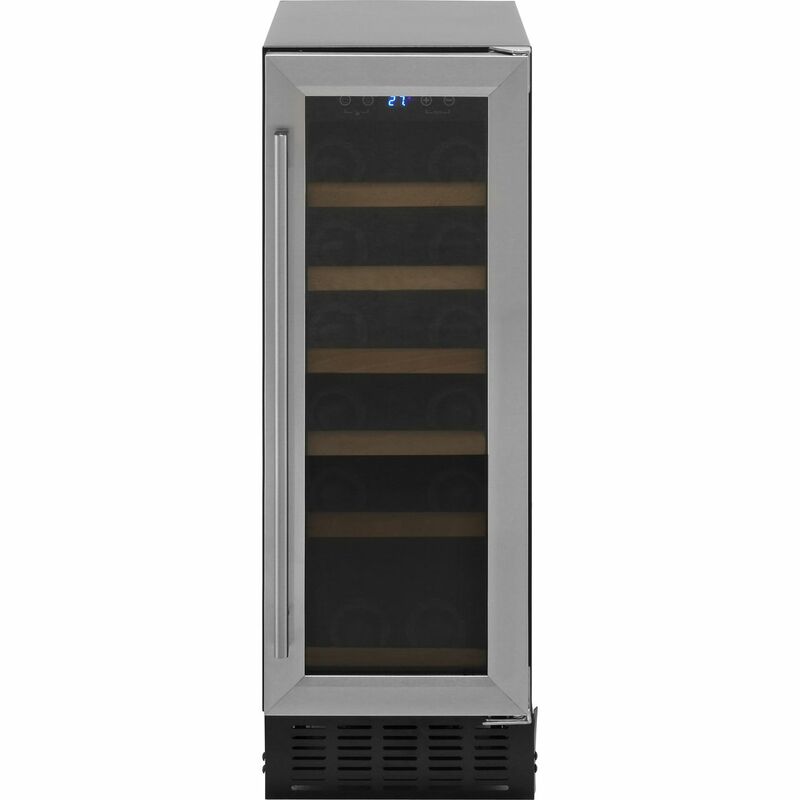 Our previous wine cooler stopped working after 12 years of good service and was beyond economical repair. We read various comments on build quality and noise and after careful consideration decided that this represents good value for it price point. I was a little apprehensive about ghd noise levels as it is described as 47db and our old one was 42db. However I can say with certainty that this is way quieter. So very pleasantly surprised. The drawers are of a comparable quality however they are a little closer together than before and are only really suitable for standard bottles. Processco drinkers may notice the tight fit but they will go in. 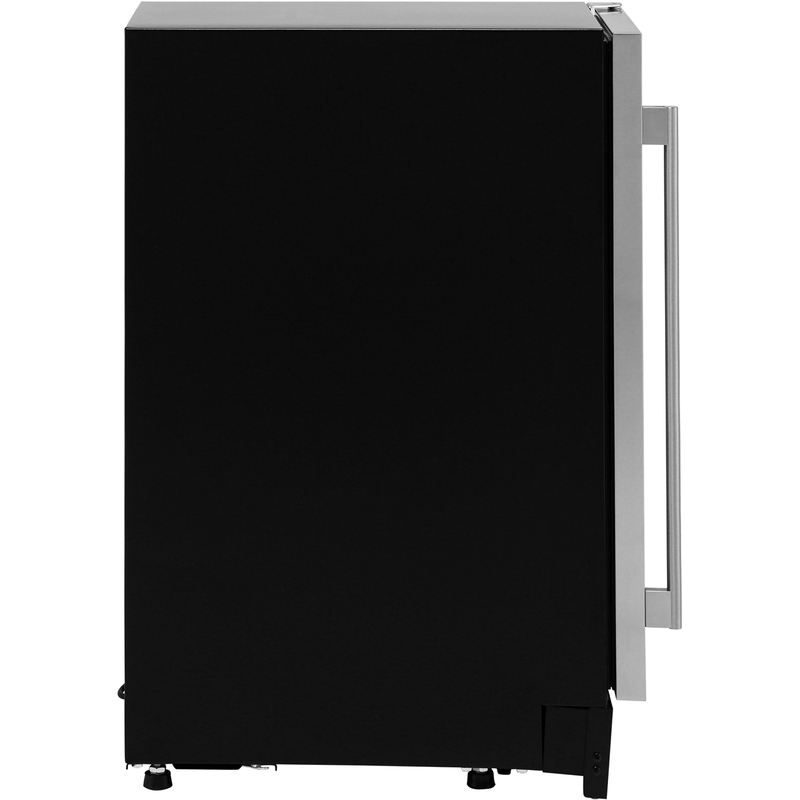 This model fits under the counter very well and looks great with the rest of the kitchen. 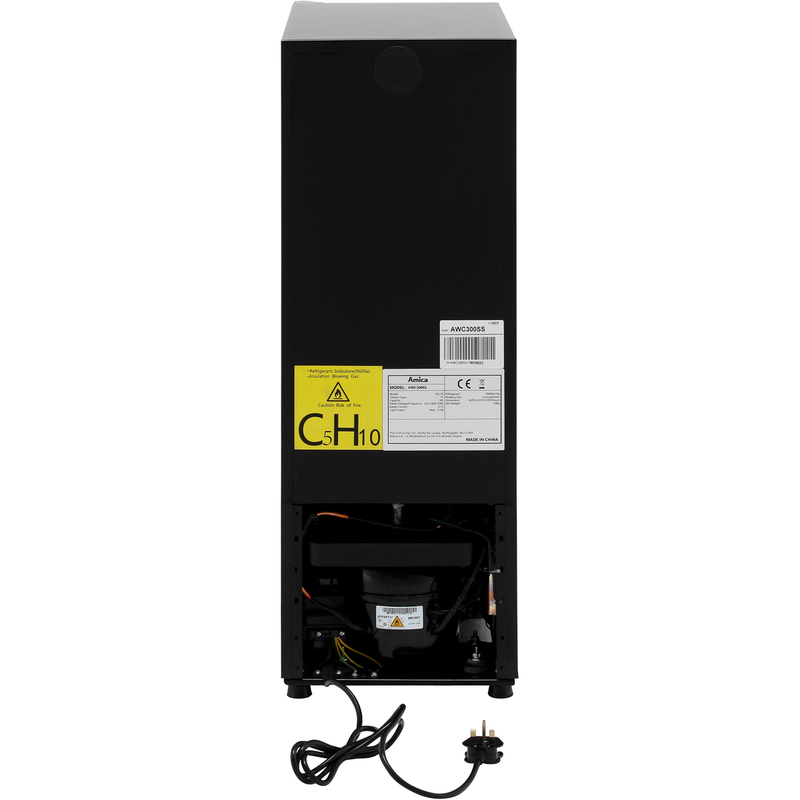 All in all this the same model as the AEG but about £150 cheaper."